What do You do after being Cited with A Careless Driving Ticket in Colorado? Well the first thing you should do is finish reading this blog and call me. I offer free consultations by phone and love to fight traffic tickets! You need to take this ticket very seriously because it is more serious than you think. The most important thing you need to know is that a Careless Driving Ticket is a traffic offense and not an infraction. What the difference between a traffic infraction vs a traffic offense? Traffic Infractions are civil penalties. That means you can only be fined and lose some points on your license, unlike Traffic Offenses, which carry prospective Jail Sentences. How Much Jail and fines am I looking at? 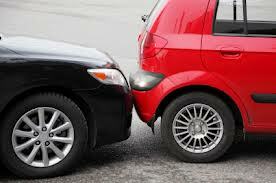 Under the state law, you are looking at up to $300 bucks, 4 points, and up to 90 days in jail for your regular old fender bender pictured above. However, if someone seriously gets hurt, your looking at more money in fines and up to a year in jail. Is better that I have to go to Municipal Court for my Careless Driving Ticket in Colorado? No. The reason that this is not good for you is because the penalties are higher in Municipal Court. Most municipal courts can punish you up to $1,000.00 and/or up to 1 year in jail for traffic offenses! Does a Careless Driving Ticket in Colorado only apply to cars? Contact a Colorado Traffic Attorney to help you fight your Careless Driving Ticket in Colorado. Remember to Drive Safely!